Silver Connections OUTing - Sunday Brunch! 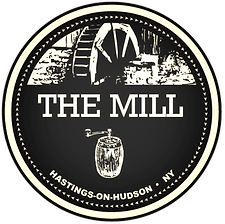 You're invited to join your Silver Connections friends over coffee an great food at The Mill in Hastings-on-Hudson! All are welcome to join, however, space is limited! Please contact Shepard to RSVP and save your seat at shepard@loftgaycenter.org or (914) 948-2932 ex 13. The menu includes salads, sandwiches, breakfast options, and $6 Mimosas/Bloody Marys!